Earn 69 points to spend on future purchases. Are you looking for an alternative to CPAP therapy, having trouble staying compliant, or not currently treating your OSA at all? If so then simple, disposable, convenient Provent Sleep Apnea Therapy may be your dream come true! 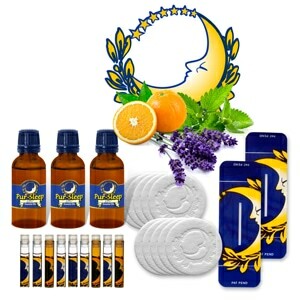 The Provent Therapy Starter Kit includes three phases of Provent patches -- 2 nights of Phase 1 low resistance patches, 2 nights of Phase 2 medium resistance patches, and 26 nights of Phase 3 standard resistance patches. The Starter Kit's convenient phased approach helps you adapt to breathing with Provent Therapy at your own pace, ensuring successful, and convenient sleep therapy. Studies show that patients who begin therapy with the Starter Kit are more successful and comfortable with Provent in the long term. Provent Sleep Apnea Therapy is clinically proven across all levels of Obstructive Sleep Apnea -- mild, moderate and severe. Provent Therapy works much like CPAP, except instead of a bulky machine with tubing and a mask, your own breathing creates the pressure that keeps your airway open. 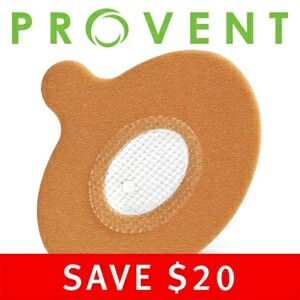 Each night before bed Provent patches are applied directly to the nostrils. As you breathe in Provent's proprietary MicroValves open so inhalation feels normal and is nearly unobstructed. As you breathe out Provent's MicroValves close, restricting airflow and creating resistance known as Expiratory Positive Airway Pressure (EPAP). This EPAP is how Provent works, keeping your airway open and enabling natural airflow while you sleep. Proudly made in the USA, Provent is the only product of its kind cleared for the treatment of OSA; and it is available by prescription only. A standard CPAP or BiPAP prescription is not valid for the purchase of Provent. Provent prescriptions must state "Provent" or "EPAP Therapy" or something similar. Click here to download a Provent Prescription Form to bring to your doctor. Provent devices are small enough to slip into a purse or pocket, making Provent Therapy ideal for travel, but they're comfortable and effective too so they're great at home. Provent Therapy does not require a machine or make noise so you and your partner can sleep better together. And Provent devices do not require electricity, giving you the freedom to sleep anytime, anywhere. Provent Therapy is simple, comfortable, and maintenance-free; you use a fresh set of devices every night and simply throw away the used set each morning. Though it seems simple, there are a few things to know before you start Provent Therapy to ensure you have the best experience. The instructional video below will walk you through how to apply the Provent Device correctly and provide you tips to adjust to wearing it. Provent may feel uncomfortable at first or you may hear vibrations when you talk. You will feel resistance to breathing out through your nose. This is normal and it is how Provent Therapy works. We suggest you put Provent on right before you plan on falling asleep. Incorporate it into your routine. Give your self time to adjust to Provent and it'll be worth it. Provent Therapy is a simple, non-invasive treatment for obstructive sleep apnea (OSA). The Provent Nasal Device uses a valve design that attaches over the nostrils and is secured in place with hypoallergenic adhesive. The valve opens and closes, redirecting air through small holes to create resistance when breathing out. Because Provent Therapy is a small, single use, disposable device, it's also discreet and very convenient. Provent Therapy utilizes a proprietary MicroValve technology developed by Ventus Medical. The device attaches over the nostrils with a hypoallergenic adhesive. During inhalation, the valve opens, allowing the user to breathe in freely. When exhaling, the valve closes and air passing through the nose is directed through two small air channels. This increases the pressure in the airway (called EPAP or expiratory positive airway pressure), maintains pressure and helps to keep the airway open until the start of the next inhalation. Is Provent Therapy Right for Me? Provent Therapy may not be appropriate for everyone. If you have been diagnosed with OSA and are considering Provent Therapy, you should speak to your physician to evaluate your individual medical needs. How is Provent different from Theravent? Provent and Theravent devices both use patented EPAP (Expiratory Positive Airway Pressure) technology; however overall design and resistance levels of each product are different. Theravent patches fit over the base of the nose, covering both nostrils during sleep, and their relatively wide MicroValve mesh is designed to help eliminate snoring. Provent patches are smaller, with one patch for each nostril, and have a tighter MicroValve mesh that provides the greater resistance required to treat Obstructive Sleep Apnea. How does the resistance level of Provent compare to Theravent? Does Provent Therapy Stop Snoring? Clinical studies have shown that 83% of patients experienced a snoring reduction with Provent Therapy. Among OSA patients that snore, Provent Therapy virtually eliminated snoring in 58% of patients. Why is it Important to Treat Obstructive Sleep Apnea? There is no cure for obstructive sleep apnea. Untreated OSA has a number of potential serious side effects. These include excessive daytime sleepiness, increased risk of high blood pressure, heart attack, stroke, diabetes, depression, increased risk or worsening of heart failure, and increased likelihood of driving or work-related accidents. How is Provent Therapy Different from CPAP Therapy? Constant Positive Airway Pressure (CPAP) increases the pressure on both inhalation and exhalation. Provent Therapy increases the pressure on exhalation only. CPAP increases pressure in the airway using forced air, while Provent Therapy uses the patient's own breathing to create pressure during exhalation. Can Provent Therapy Replace my CPAP Machine? If you are not using your CPAP machine all night, every night then ask your physician about non-CPAP alternatives including Provent Therapy. Only you and your physician can decide what therapy is best for you. For help speaking to your doctor download the Provent Therapy Physician's Information Guide (PDF). Can I Use Provent if I'm a Mouth Breather? As with CPAP therapy, Provent Therapy users who may be mouth breathing during sleep may benefit from the use of a chinstrap. Can I Use This Device with my CPAP? Provent Therapy cannot be used together with a CPAP machine, but some users find that it's more convenient to use Provent when traveling and CPAP when at home. How Do I Talk to my Doctor About Provent Therapy? If you are interested in speaking to your doctor about Provent Therapy, download our Provent Therapy Physician's Information Guide from the literature section of this page. What can I expect from my initial experience with Provent? After you apply the Provent Device, you should notice the resistance created as you try to exhale. Generally, users get used to this feeling after wearing for several nights. For tips on how to breathe and how you will feel download the "Provent Therapy Tips For Success" Brochure available on this page. Will Provent Therapy work for me? Provent Therapy does not work for everyone. In recent clinical studies, 72% of obstructive sleep apnea sufferers were successfully treated by Provent Therapy. Contact your physician to see if Provent is right for you. Yes, Provent Therapy can be used safely. In recent clinical studies, no severe, device-related adverse events were reported. Read the Provent Therapy Instructions for Use located elsewhere on this page for a complete list of warnings, precautions and contraindications. Can Provent Therapy be used in children? No, the safety and effectiveness of Provent Therapy in children under the age of 18 has not been established. Is Provent Therapy covered by my insurance? As Provent Therapy is relatively new, it may not be covered by all insurance plans or prescription programs. In many cases, tax-free, flexible spending accounts may be used to cover the cost of Provent Therapy. If you have concerns about whether Provent will be covered, contact your healthcare provider prior to placing your order to be sure. Starter kit makes it a little easier to get going with the Provent system. Great idea. Always a pleasure dealing with Direct Home Medical. Quick service and delivery. I CAN'T BREATHE OUT WITH IT ON AND I'M NOT A MOUTH BREATHER. THE AREA AROUND THE INSERT IS BIG AND DOESN'T FIT WELL. I'LL KEEP PLUCKING AWAY AT THE TREATMENT UNTIL I USE THE BOX UP THEN I'LL DECIDE IF I WANT TO CONTINUE. I didn't know what I was missing. This is much better than the CPAP machines and the mile long tubing! i am very impatient. and i in error ordered the normal package. BUT i wore it a bit every night as i was watching tv .. i let my body tell me when to take it off. NOW i love it. great for power outages or travels. just got my machine but now that is driving me NUTS lol so glad i have BOTH just be patient ... it can work. Customer service was great. Not a fan of this product at all, however. I cannot sleep comfortably with it. And I just cannot get used to it. I tried the starter kit and was unable to tolerate my nares being covered. I felt like I was suffocating. I have mild sleep apnea which causes snoring. I realize you don't market the device to stop snoring but the apnea and snoring are closely connected for me. A friend had good success with Provent to stop snoring. For me, it was a complete failure. 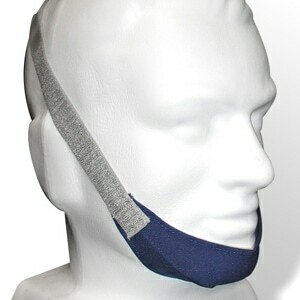 I tried it with and without a chin strap. It did not help with snoring at all and it seriously interrupted my sleep. I had to take a sleeping pill nearly every night after use for about 12 nights (with phase 3). I suggest you say in your marketing materials that Provent is NOT a remedy for snoring and that many people cannot adapt to it. It is a little difficult to get to sleep thinking to breath out through your mouth, but it works good when you are sleeping. I used the Provent device as directed. Even the beginner set was very uncomfortable. I couldn't wear it, couldn't fall asleep very easily, and when I did fall asleep I wasn't breathing through the device, like it said I would. I would wake up very uncomfortable and need to remove it immediately. I continued as directed for over a week. Lost more sleep than if I was snoring. Its just too uncomfortable to work! Seems well constructed and like the idea of portability when traveling but difficult to use for me and dont want to sacrifice multiple nights trying to get used to it when my CPAP machine works fine. It is noticeable the size for me is large. Both of 2 sides do not fit my nostrils. If there is smaller size I think it is much better. However, I found no problems using Provent Sleep Apnea Therapy. I need to wait for several days after I have worn test pad on my left wrist to see if provent product helps me. I really appreciate my doctor who prescribed Provent for me. Like it better than cpap which I can't tolerate. Adhesive is annoying and the fact you can't reuse it gets expensive. Seems they could find a way to attach valves so they could be reused. Still they seem to help. My husband tells me I don't snore at all when I use them and I'm not as tired in morning. I was enthusiastic to try this product to help with sleep apnea. However it just didn't work for me. My nose is too small, there is too little edge on my nostrils to attach the device and have a good fit and seal. I'm sure to would be effective for someone with a larger nose. I spoke to the company and they said they may offer sizes in the future. Hoped this would be a solution to CPAP but it's taking some time to get used to. Not as easy as I thought it would be. I hoped provent would be useful for travel, but I didn't work for me. I am not falling asleep during the day! it's a miracle. I have moderate sleep apnea and it just didn't work for me. Woke up with headaches which is not a good sign. Back to CPAP now. After just a few days my husband said my terrible snoring went to a "purr". I still snore some but not enough for him to find another place to sleep! It is really difficult to get over the idea that you either have to keep you mouth open or feel like you are suffocating. And leaving your mouth open all night is not exactly pleasant. My best recommendation is not to try with a person with Alzheimer's. He could not remember what they were for each night so just kept taking them off. Even tho only tried for 3 partial nights, he all of a sudden was answering Jeopardy questions. I am sick I can't use them for him. Why not a better adhesive? I cannot get the adhesive to stick to my skin. I thought it was a problem inherent in Provent until I did a sleep study and found that the ones that came with the sleep study equipment adhered much better. Why can't we get those? Let me qualify my review by saying that Provent didn't work for ME -- it may work well for others. I have severe obstructive sleep apnea and require a bipap. 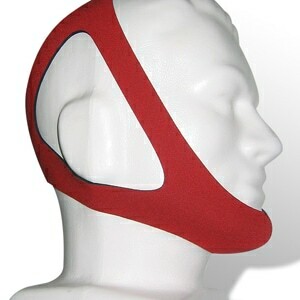 I have heard that it works well for many apnea sufferers and probably is worth a try. I had hoped to use this on an upcoming foreign trip but, alas, it was not to be! I was willing to try anything to help with my sleep apnea but nothing seemed to get good reviews until I read about Provent. Have been using the product for two weeks now and although it took a few nights to get used to, I definitely notice a difference. I sleep straight through the night most of the time now and wake up feeling more refreshed than in years. My girlfriend says that I hardly snore anymore as well. Thank you Provent!!! I am definitely sticking with this therapy!!! My husband was So impressed that my snoring was stopped with such a simple device. I'm so happy! I am a thin, 29-year old woman. I've tried iron, B-vitamins, thyroid medication, modafinil and tested my blood for all the usual suspects: mono, lyme, etc. I've only been on the therapeutic level provent for 3 days now, but I feel so different, I can't believe it. I'm stopping modafinil and reducing my caffeine consumption because I can't fall asleep at night (this is a miracle for me because I used to need multiple naps + 10 hours sleep at night). For what it's worth, I did the sleep test thing and got diagnosed borderline sleep apnea and mild hypersomnia (likely from the borderline sleep apnea). I went to an ENT for constant nosebleeds who mentioned I have a deviated septum - this is likely the cause for my sleep apnea. It's taken years to diagnose, because many doctors look at a fit, young woman and never think sleep apnea. Even after getting diagnosed borderline sleep apnea, doctors said it wasn't bad enough to cause the sleepiness. I tried the nose strips - no dice. Finally, I tried this. Conclusion: I'm awake like I haven't been in years. Now, the cons: I do sleep with my mouth open frequently - so I'm not sure how it works, but I guess for enough of the night I use my nose. I do wake up with a REALLY dry mouth and worry about the effects of that for my breath, teeth, etc - but to be awake - it's 100% worth it. We'll see if it continues paying off. I have found the Provent device to be a great replacement for the traditional CPAP. It's portable, easy to apply, disposable and no constant cleaning. I have had a night or two when it has to be put back on due to my rolling around but it goes back in place easily. I'm sure this works for some apnea sufferers, but it did not work for me. It may be a good product but you could not prove it by my experience. I lasted 7 days using no single night longer than 5 hours most 3 and under. I only fell asleep with it one night. Instead, I could not go to sleep for at least 1.5 hours after removing it. I started to feel freaky and also my blood pressure jumped at leas 15 to 20 point on each measure. I am sleeping like a baby with out it. Very uncomfortable, tried to get used to it for a week. Prevented me from falling asleep. When fell asleep, it only lasted about 30 minutes. It made things worse. I tried this for four nights and could not go without sleep another night. There should be some extra products added to the starter kit for the first few nights as it takes awhile to get them aligned and on properly. Unfortunately. It seems you have one shot to get them to stick because once you take it off, it will not stay on. I could not sleep with just my mouth open. I was hopeful this would work for me, but I don't think it will. I'm amazed at how well Provent works. Simple design, no hose, no mask, no machine and yet it allows me to sleep very relaxed and comfortable. Compared to any CPAP mask / therapy this product is a god sent and quite tolerable to wear. It does take some getting use to, but I believe its worth the effort. I believe in order for it to be 100% effective you need to sleep with your mouth closed all the time and this is the one area that is of concern for me. I stopped CPAP becuase the only device (air pillows) I could remotely tolerate required the use of a chin strap which I refuse to wear with Provent either. However I will continue to I work with them with the goal of getting completely use to them. I like the convinience and will definitely recommend. Did not prevent snoring, unfortunately. I really wanted it to work since it is so much easier to use than a CPAP! Just used it for two days now - both nights I woke up in the middle of the night and had to take the device off. I don't understand how, if my exhale is blocked, wouldn't that lead to a buildup of CO2 in my bloodstream, which cannot be good. Just beginning to use Pro Vent,and have a ways to go in consistantly and efficiently positioning the microvalves but certainly am enjoying the freedom of not being tethered to a CPAP!I think it is going to work well in the long run. I have never been able to get used to my CPAP machine so I decided to try Provent. It worked great and was much more comfortable than the CPAP mask, but until insurance starts covering them, I'll have to stick with my CPAP. Provent will be great for travel, though. I'm having a terrible time getting used to these. You are supposed to fall asleep with your mouth open, and then supposedly your mouth closes when you fall asleep. I have been unable to fall asleep with my mouth open, so I have tried keeping my mouth shut while falling asleep and I feel like I am suffocating. I have only been able to wear them for a whole night once. I will keep using these till I run out, but I am not sure if I will order more. This is a terrible idea for sleep apnea. It is very difficult to breathe once the devices are in place unless you breathe through your mouth. For the first 4 nights, there was some reduction in snoring but the discomfort of the devices woke me up about the same as if I wasn't wearing them. After the 4th night, my snoring resumed as if I wasn't wearing the devices and I woke up with a terrible dryness in the mouth and a sore throat. The devices teach you to breath through your mouth which makes you wake up a lot and then it's very difficult to go back to sleep. I had read other reviews and thought the users were exaggerating. They weren't! I would definitely avoid this treatment unless you can stand to feel like you are suffocating when you sleep. As far as the product, it is uncomfortable to wear and the adhesive leaves a sticky residue on your skin. The Provent product takes some getting used to. While using the Provent system you can inhale through your nose, but it forces you to exhale through your mouth. By the time you reach stage 3, you can't exhale at all through your nose. But, if you can adjust to the Provent system it will work for you. I stopped snoring on the first night, and I am waking up in the morning feeling more rested. It really works, and I will continue to use the product. According to my wife, I stopped snoring the very first time I used it. It's a bit uncomfortable, but much better that trying to sleep with a CPAP machine and mask. I have just finished stage 2. So far so good. I have been using CPAP for 10+ years. i will probably continue to do so but i want Provent for traveling (boats motorcycle etc). I have post nasal drip so sometimes I wake up with clogged nostril and breathing difficulty. First 4 - 5 hours go well but then I wake and have trouble going back to sleep. Uncomfortable, sometimes itchy, sometimes needs extra tape to hold down. First week was terrible. I cannot keep these in all night. While I understand the concept, the fact that your exhale rate is slower than your inhale rate is very stressful. You are having to push air through those tiny holes. Yes, it is recommended to breathe through your mouth until you fall asleep but, I can't fall asleep. When I attempt to exhale through my nose only, my heart races since I am fighting the device and I get stressed-out. I feel as if I am suffocating. Perhaps a longer period of "starter" ones is in order. Having just two nights of easy breathing before making it harder and only two nights of the next level doesn't prepare you for what the real process is. The service was fast, excellent, but -- I have a problem, used just one of the starter kits and I can't tolerate the tape--allergic reaction. I am newly diagnosed with mild case of sleep apnea. I was told by my physician that ths product woks best when I can stay sleeping on my side. So, I am getting used to applying these on my nostrils at night, yet, I am still struggling sleeping on my side and keeping my mouth closed! I am having a problem with my mind. I use the product and it does work. HOWEVER, after I'm asleep for a while, I will wake up and my mind will tell me I'm not getting enough oxygen. I am of course, but my mind puts me in a panic mode and I can't get back to sleep without removing the product. I want to emphasize that when I go to sleep with the product on, it works VERY WELL. I have to keep working to re-program my mind. Have had moderate results up to this date, 11/12/13. Difficulty with congestion around 3:00 AM in the morning, therefore having to remove Provent strips. After fall to sleep still breathing in and out through mouth at times. Dry mouth from that point, after removal of strips breathing through nose. Will continue to use Provent until 30 day supply has been exhausted. Yes, it takes a little bit of getting used to Provent, but not any more than getting used to a CPAP machine. It's so much easier for travel. I think it's much safer to use than a CPAP machine too. I always worry about what germs and mold could be multiplying in those damp hoses and mask, even though I try to keep them clean. I just wish Medicare would give their approval, so I could afford to use these every day, and get rid of the CPAP machine. Much better than wearing a mask! I have been using the Provent pads for about 2 weeks now. They are easy to use, stay on well, come off in the morning easily. Were easy to get used to, are comfortable. I think they are working in my case as I don't seem to be as tired as I was. Also they are so much better that the mask. If you need to get up a night, they just stay in place. I had tried the mask, but could never get on to fit right. I have been telling others I know with sleep apnea about them. I started the Provent starter kit six days ago and I am very pleased with the easy application and comfort this mask-free treatment provides. I am planning to utilize Provent on my travels vice hauling around my CPAP machine. It has worked wonderfully for me. I totally approve and endorse PROVENT! At the urging of my wife I tried the Provent. However, it does not seem right for me as I found myself waking up several times at night and taking them off after waking up the second or third time. They are comfortable and seemed to stick very well if the nose was clean. I have been diagnosed with sleep apnea, and have been told by friends that I do snore and loudly if I am not wearing a c-pap machine system. And when I wear the mask with the noise and air blowing, then I do not sleep with the c-pap system. My family doctor told me about this new system that she thought I might try, although she was a bit skeptical, she wrote a prescription when I requested that she allow me to try this e-pap system. And it works. I live alone so I didn't know if I was still snoring or not. I. Just knew I was sleeping better. During a recent trip with friends, they assured me that I did NOT snore, breathed easily, and were delighted that they could sleep also. It took a couple of nights to get used to, but it really does work. I got the starter kit and am so glad I did. I don't really understand how it works...but like magic, it does. And it is worth every penny for that good nights sleep! Very easy to use takes alittle getting use to but is helping! Seems to be a quality product; instruction material was accurate, works as advertised, no complaints or issues (which is unusual in today's 'promise more and deliver less' marketplace. Provent therapy did not work for me. The adhesive made my nose itch something awful. No matter how careful I was in putting them on, they developed a leak in the seal within a couple hours. I found it very awkward to breath in through my nose and out through my mouth as the directions advise and was unable to even get to sleep. finally, I just gave up. I am an anesthetist of 30 years and deal with sleep apnea in my patients as well as my own affliction with this disorder. This product is a complete and utter waste of time and I don't know how it passed FDA muster. Just recived the Provent starter kit yesterday. Last night used phase one without difficulty and awoke with it still in place. I was surprised at the way it pulled my skin when i took it off. But do not anticipate any problems. This product seems to be working quite well for me. I had major problems with CPAP and was turned on to Provent by a friend. Positioning it was a bit of a challenge (I have a large nose and a mustache) but after a few nights I got it right. My wife seems to think it is a great help, so I look forward to continuing the use of it. This product does not work for me. It is very easy to use but I wake up tired every morning. I I'm using it for a month while my TAP appliance is adjusted to new teeth. I was so hopeful it would. My Dr said it works wonderful for some and not so well for others with apnea. It is worth a try. Hope others have better luck. The idea seemed promising since I hate CPAP but I had trouble adjusting to the breathing. The adhesive area was really too big and both pads overlapped. After 5 days I gave up when the skin around my nostrils became too inflamed and uncomfortable to continue. Some nights the tape loosens while I sleep, so I feel I am wasting my money! When I wake up, I am breathing regularly, instead of feeling the hard exhale. Despite some people telling me this would not work, I have had a good experience so far with Provent. Only one week under my belt but I went straight to stage 3 with no issues. Customer Service at DirectHome Medical has also been excellent to work with. 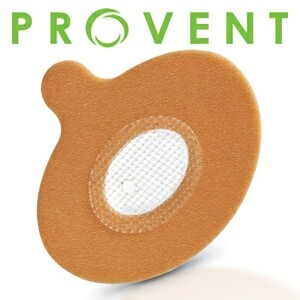 I ordered the Provent aids in order to be able to travel without my cp maching for about 3-4 weeks. There will be no electricity where I'm going and won't be able to go unless the Provent nasal inserts work will. I've been using them now for about a week and a half and so far, I'm getting by. It's not wonderful but I think I may be able to take the trip I want. I will only use them for certain types of travel. Out of desperation, I went ahead and tried the starter kit for Provent. Even though I started with the "patch" which was the least intrusive, I had to pull them off my nose after 20 minutes. Inhaling was a strange feeling and exhaling just didn't work. I can imagine that some people have the tolerance to make this work. But as much as I hoped it would offer relief that the CPAP isn't providing, it took just a few minutes to see this wasn't going to do the trick. For those who are thinking of buying this, just be sure you are comfortable with potentially throwing away some money. This device is brilliant, and really works! My partner can finally get the sleep he needs! And I am sleeping more through the night! I love them! I am just at the end of my 30 day Provent starter kit. I cannot say enough about the product. I am sleeping better, and so is my wife! I used the starter kit. The first four lead-in days were okay but once I started using the actual product, I found that I could not sleep with them on. I could not keep the pressure up because the device keeps you from exhaling through your nose. I constantly had to open my mouth to exhale, resulting in the loss of pressure that is supposed to make the things work! I couldn't sleep because I was constantly worried that I couldn't exhale and then draw my next breath. I tried for 3 nights but then gave up.